Epiphany n.4: lemon curd is already gone!! Straight from The Joy Of Baking, with some changes to the process. Oh, what a lemon joy! In a small saucepan over a lightly simmering water bath, melt butter with the lemon zest. Add sugar all at once, stir quickly until it's all well blended, then add the eggs, lightly beaten, and the lemon juice. Stir and continue to cook gently until the curd thickens. It will take about 15 to 20 minutes. Remove from heat and pour through a fine strainer to remove the lemon zest and any lumps. Cover with plastic wrap and let it cool. 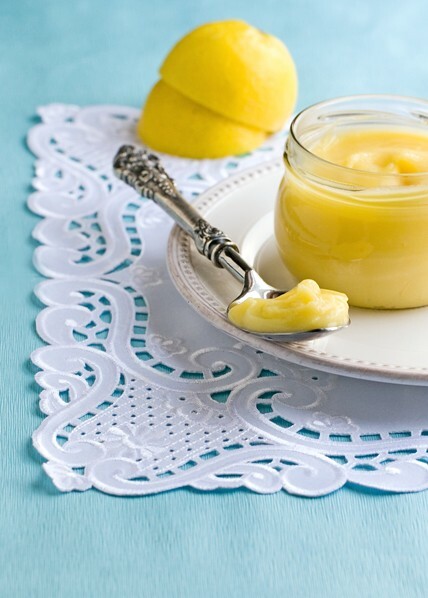 PS: for those who were worried, just kiddin', my lemon curd is only "technically" gone. Don't touch it, as I've already decreed its end. Will find out in the next episode.